The following events have been scheduled by the Big Ten Alumni of Atlanta for 2014. 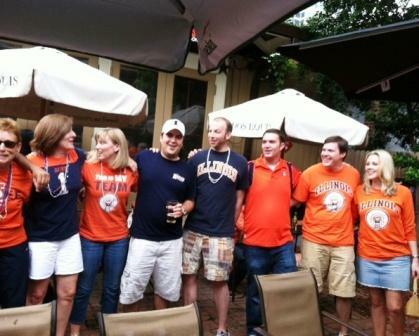 The Atlanta Illini Club is active in the planning and financial support of Big Ten Alumni of Atlanta events. As details become available we will post them individually on the events calendar. Upcoming Big 10 events: The Illini club will play a B1G role in B1GFest this year. Save the date and prepare to volunteer! http://www.bigtenatlanta.org/ The Big Ten Alumni of Atlanta is a school-spirited collection of Big Ten alums, families and friends that come together for fun, networking and to raise money for charitable causes. This year brings back the Big Ten Picnic which usually sees 300-500 alumni, families and friends for food and fun. The largest event, B1GFest (formerly known as the ___ Crawl had 1500 participants and donates around $20,000 to charity.